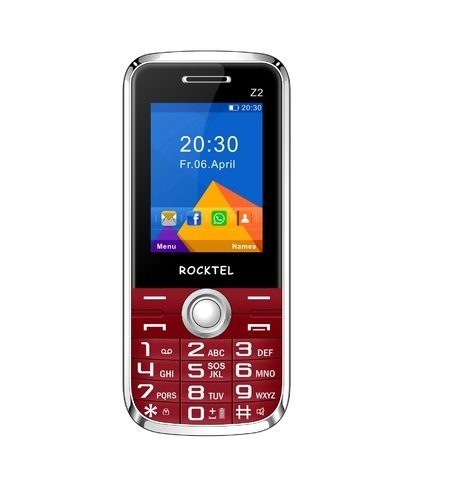 The new Rocktel Z-2 is a 2.4"(240*320) display feature phone with alpha-numeric keypad. Bold Numeric on screen display for senior citizens. It is a dual SIM (GSM+GSM).It has a basic VGA camera at the back (1.3 MP camera) and also has a torch light at the top of the phone with dedicated torch key.2000 mAh Original Battery, Audio/Video player Support, FM radio, Auto Call recording with folder, Bluetooth/GPS,3.5 mm Audio Jack and Expandable Memory upto 16 GB. 32MB ROM and 32 MB RAM.BIS Approved(Registration No.-R-83001902). Phonebook capacity 1000 contacts. SMS Capacity 500 SMS. Since our establishment in the year 2006, we, Pgs Teleworld, are counted among one of the enviable organizations, which is engrossed in trading and wholesaling a commendable range of Aroma Diffusers, Water Bottles and Card Holders. The range offered by us comprises Coffee Mugs, Cutlery Sets, Home Tools, Jewellery Boxes, Ladies Hand Bags and Kids Products. Our offered products are widely demanded in the market for their features like high strength, lightweight, leak proof, fine finish, alluring look, sophisticated design, wear and tear resistance, mesmerizing look, eye-catchy appearance, corrosion resistance, elegant pattern and compact design. These products are checked and packed properly before final dispatch at the customers' premises in committed time-frame. More to this, we are providing these products to customers at industry leading prices.